You can change the language of the webpage by choosing one of our languages in the dropdown that you will find in the lower right part of our web. 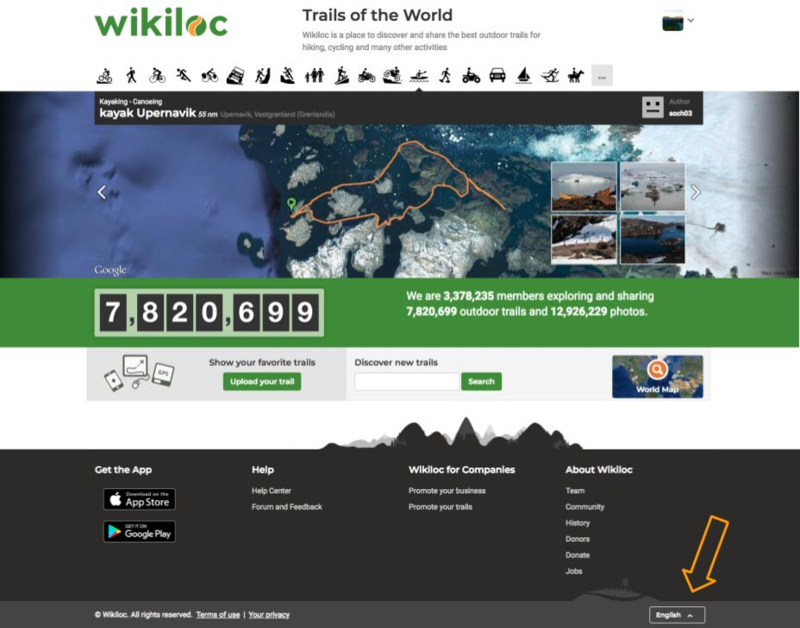 Wikiloc's web is now translated to: English, Español, Català, Français, Italiano, Português, Deutsch, Dutsch, Dansk, Euskaraz, Galego, Türkçe, Polski, Svenska, Íslenska, Hungarian (Magyar)中文 Chinese,Українська, Ελληνικά, Српски (БиХ), Русский. Do you want to change your Wikiloc App language? This article might help you.